Are you looking for a simple, accurate, affordable profile? Don’t have time to take a long profile? This is the profile for you! 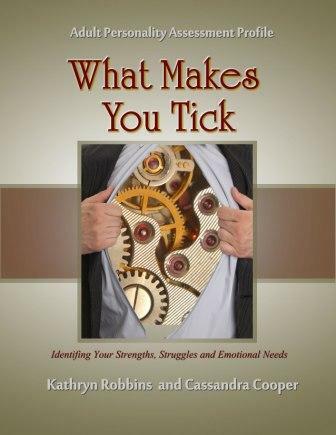 Great for use in workshops, counseling, coaching and personal use. 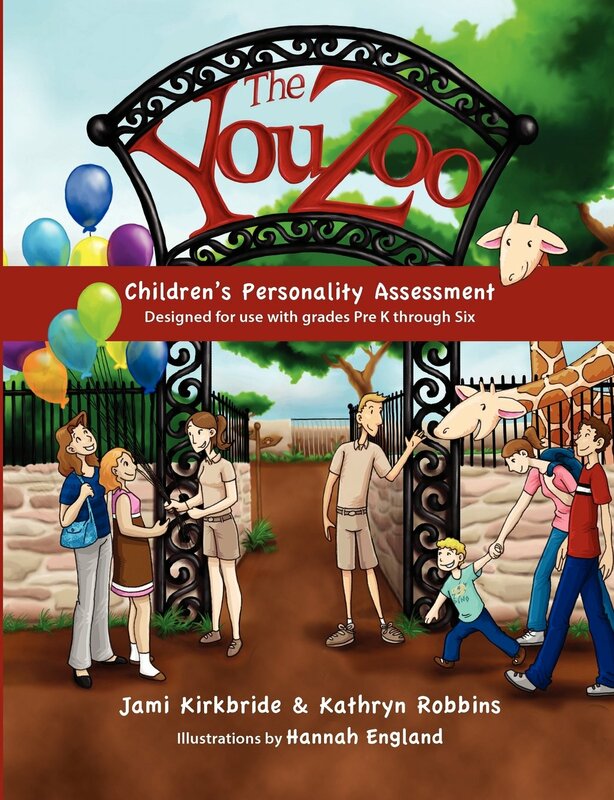 Here is a simple, quick, inexpensive profile to help your children understand their basic personality traits. There is no better time to learn this life altering information than when we are starting to make your life plans and goals. It’s difficult to enhance our strengths or minimize our struggles, if we don’t know what they are. Once these traits are visible, we can start working on them. . Please note that these prices are for US shipping only. Canadian, European, and Australian order forms coming soon. 10-Week Curriculum I've been using. about how and what I teach. The course has 40 pages with 19 charts, 4 assignments, props list, and 6 posters. 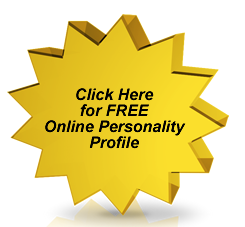 Personality, relationship issues, communication styles and more. 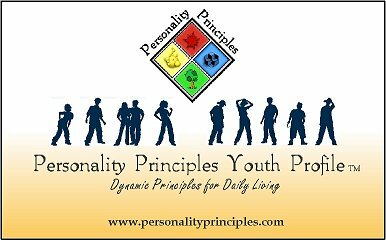 Personality Principles 10 week course! Over the years, I have found using my Personality Board to be one of the best visual props I have - even better than Power Point. I fly to many speaking events and I had to create a board that rolls up neatly in its own travel bag. These boards are made from sturdy vinyl. Perfect for taping on visuals, and if they become dirty, simply wipe them clean. Stand is adjustable for floor or tabletop. Customized wording is available. Email Kathryn regarding wording. SAVE $50 by buying the kit! Instant downloads are immediate electronic downloads to your computer. As such, once they are downloaded, you are in full possession of the material in electronic form, and are able to copy and print. Because of this, NO REFUNDS will be given once the download is made. If you have any questions, please have them answered before processing payment. 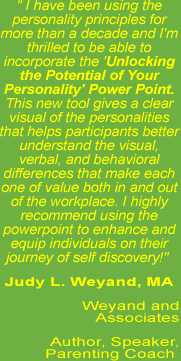 "I am so grateful that after spending enormous amounts of time with our Certified Personality Trainers, Kathryn Robbins saw a need to give them additional training, to answer their questions, equip them with technology and business savvy, and help move them to a more professional level-and did something about it."